What else do you want to know about me? 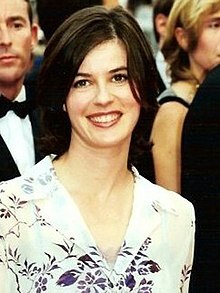 The Double Life of Veronique (French: La double vie de Veronique, Polish: Podwójne życie Weroniki) is a 1991 French-Polish-Norwegian drama film directed by Krzysztof Kieślowski and starring Irène Jacob. Written by Kieślowski and Krzysztof Piesiewicz, the film explores the themes of identity, love, and human intuition through the characters of Weronika, a Polish choir soprano, and her double, Véronique, a French music teacher. That's the star we're waiting for to start Christmas Eve. Do you see it? And there, below, the fog. Look. It's not fog. It's really millions of little stars. Weronika: What else do you want to know about me? Weronika: [seeing a a puppet] Is that me? Alexandre Fabbri: Of course it's you. Alexandre Fabbri: Because during performances I handle them a lot. They damage easily. This page was last edited on 23 September 2018, at 01:41.